The Reverend Wolcott Lindsey befriended the original immigrants and invited them to worship in the Episcopal Church in Webster. Rev. Lindsey realized, however, that these faithful people desired to organize their own Church, and served as an intermediary between the Greek Community and the Slater family. The Orthodox community’s first “house of worship,” owned by the Slater family, was a two tenement house located on Pond Court and Thompson Road. The Slaters, in true Christian spirit, paid all the expenses of this house from 1910 to 1912. Following the Balkan War of 1914, a flood of new immigrants arrived. To have more room, the Church moved its meeting place to the second floor of the Cassidy Building located on Pleasant and Main Streets. Shortly thereafter, Cosmas Hadjoglou offered his coffee shop to serve as the meeting place for the Greek Orthodox Community. Here, the Church elected its first Board of Trustees. The Church purchased land on High Street in 1922, and immediately began constructing a Church Building. Fr. Athanasios Aloupis became the first long-standing priest to serve in the new Church, with James Pappas serving as Parish Council President. Metropolitan Vasilios of Dramas dedicated the new Church on November 8, 1925. Among the noted dignitaries attending the dedication was Prince (later King) Paul of Greece. In 1938, the 5th annual convention of the New England Churches of the Greek Archdiocese was held in Webster. Archbishop Athenagoras officiated, accompanied by a 50-voice choir from the Pomfret Greek Orthodox Theological School. During this same year, the ladies group, which was initially called “Elpis” (Hope) turned into the Philoptochos (“Friends of the Poor”) Society. Its purpose was to cultivate a sisterly spirit among the members of the new generation, to give assistance to the poor, the sick , the widowed and orphans, to help support the Church’s educational institutions and orphanages, to help maintain the heritage of the Greek Orthodox Church, and to practice its teachings. Throughout the 1940s and 1950s, the Church prospered. As the first generation of Greek-Americans and Albanian-Americans began raising families and a new generation of faithful, the Church focused on preserving their Greek Orthodox faith and Greek heritage through education. The Church became more than a Sunday House of Worship. The first Sunday School class began in 1943, and grew to 50 students. By the 1950s, the GOYA (Greek Orthodox Youth Association) was organized. As the Church grew in numbers and in activities, Vasil Condos headed a search committee to look for land to build a bigger building, which was purchased in 1965 on Lake Parkway. Future plans became urgent when an unfortunate fire destroyed the original High Street Church on February 28, 1966. During the time of building a new church, the Zion Lutheran Church in Webster offered their hall for church services. Under the capable guidance and leadership of James Metropoulos, a building committee was formed. The parishioners built their new Church within 19 months. On May 26, 1968, parishioners entered into their new Church and celebrated the dedication ceremony with Bishop Makris of Olympus and Fr. Nikolaos Nikolopoulos serving. Arthur Pappas, the president of the Parish Council and Louis Thomas, the Church’s long-time chanter, opened the doors to the new Sts. Constantine and Helen Greek Orthodox Church. Two decades later, under the leadership of Fr. Emanuel Clapsis and Parish Council President Charles Pappas, Archbishop Iakovos and Bishop Methodios consecrated the Church on May 21, 1989. During the 1990’s the children and grandchildren of the founding fathers continued to be leaders of the Church. This tradition began with Arthur Pappas serving as President in 1968. His father, James Pappas, had served as the first President in 1924. Vasil Condos, served as President in 1990 following his father, Vaios Condos, who served as the third president in the 1920s. Chris Geotis and Evelyn Geotis Aperges served as Presidents, following the path of their grandfather, Theodore Geotis. This transition of leadership through generations acted as a reminder of the central role our Faith and the Church has played within our families. As the 20th Century drew to a close, the church leaders faced the challenges of how to maintain and repair the Church edifice, how to keep the second, third and fourth generation Orthodox Christians active in our Church, how to reach out to the many married non-Orthodox spouses, and how to invite new people to join our Church Family. Church attendance dwindled despite a strong nucleus of conscientious leaders and hard working Parish Council members. How was our Church going to re-energize its parishioners and focus the Orthodox community to fulfill its spiritual mission? It took a missionary priest and presbytera who had served ten years in Albania to come to the rescue. That irony has not been lost on our Saints Constantine and Helen family. Under the spiritual guidance of Father Luke Veronis and the support of Presbytera Faith, the past eight years have seen a transformation of our Church Family. The average attendance at Sunday Divine Liturgy has increased three-fold, paying stewards of the Church has doubled from 90 to 180, while the budget has tripled. Most importantly, though, many parishioners have discovered and cultivated a vibrant, living faith. Throughout this period, the Church has offered, a full cycle of worship services, including our Sunday Divine Liturgy, Saturday Vespers, Wednesday Paraclesis, and weekday Divine Liturgies for holy days. During this period of renewal, a major focus has been on a varied and well-rounded educational program for all ages. This includes a Wednesday Noonday Bible Study, an Early Risers Saturday Bible Study, a Women’s Bible Study, a Women’s Book Club, an Orthodoxy 101 Class, two annual retreats with guest speakers during, two weeks of “Unceasing Prayer” involved 24 parishioners each praying one hour a day, a 24 page monthly bulletin The Light which offers educational and inspirational material, a website (www.schwebster.org), and participation in special Ecumenical events.. Our JOY and GOYA Youth Activities include Sunday School, an annual Bible Bowl, a summer Vacation Church Camp as well as a Greek Dance Group, occasional Greek classes, and a Youth Choir. We thank God that over these past eight years, we have had numerous seminarians from Holy Cross who have helped in our ministry and become a part of our community. The Church is now known for its warn and welcoming spirit, and cultivates a loving and Christ-centered fellowship. 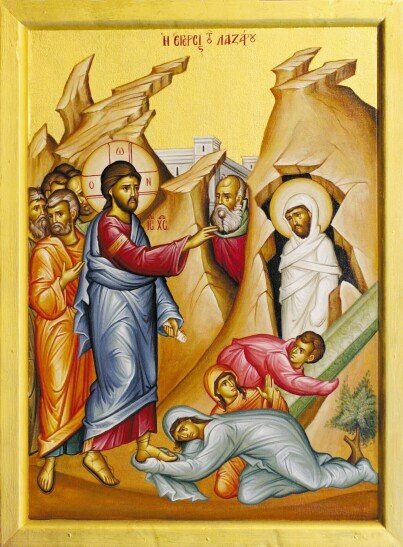 Our Church Family celebrates numerous meals and gatherings, including our annual Vasilopita Luncheon, Godparents/Grandparents Sunday, Lenten Pot-Luck Dinners, Lazarus Saturday Breakfast, Palm Sunday Luncheon, Pascha Lamb Luncheon, Sts. Constantine and Helen Feastday Celebration, a Missions Luncheon from Around the World, our two-day Greek Festival, a New Year’s Gala, and an occasional Dinner Dance, Fashion Show, and a variety of children’s activities. We have also offered enjoyable excursions to Ellis Island, to Holy Protection Monastery, to the Hellenic College and Holy Cross Greek Orthodox Theological School, to the Museum of Russian Icons, and to other places. Our Philoptochos and faithful women and men have actively offered their time and talents in service to others through acts of mercy and love to hospitals, nursing homes, and shut-ins. We have sewn and distributed 100s of quilts and afghans, collected and distributed food baskets, and supported various local, national and global charities. Over the past eight years, our Church Family has come to better understand the central role of Missions and Witness as a part of our faith. We realize our responsibility and privilege in sharing God’s love to others, whether Orthodox or non-Orthodox - locally, nationally, and globally. So our parishioners have volunteered at the Grace House Homeless Shelter, at the Webster/Dudley Food Share, and other local charities. We have participated three times in Project Mexico, where we have built homes for needy families in Tijuana. And we have invited and supported Orthodox missionaries from Albania, Kenya, Sierra Leone, and other places around the world to inspire us with their work, and explain how we can help and participate with them. Over the past nine decades, our Church has gone through different cycles of growth and stagnation. Forty-two priests have served this community. People have come and gone, but the vision of the founders of this Church has prevailed. For more than 90 years the Gospel of our Lord Jesus Christ has been maintained and proclaimed.